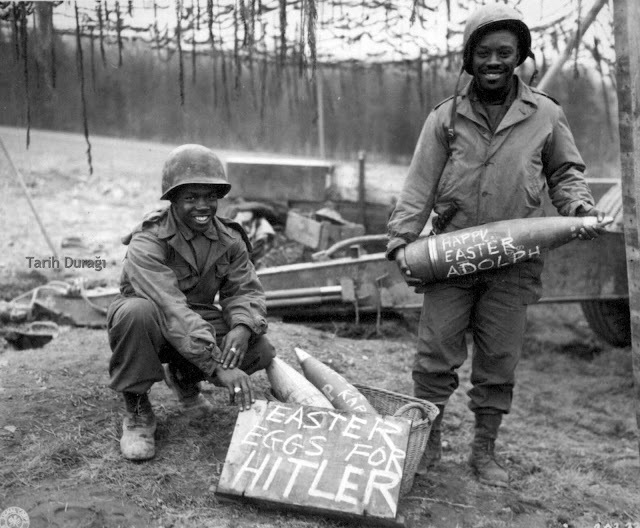 The name of the soldiers are Technical Sergeant William E. Thomas and Private First Class Joseph Jackson. Photo has taken in 10th of March 1945 during the Battle of Remagen. Scrawling such messages on artillery shells in World War II was one way in which artillery soldiers could humorously express their dislike of the enemy. 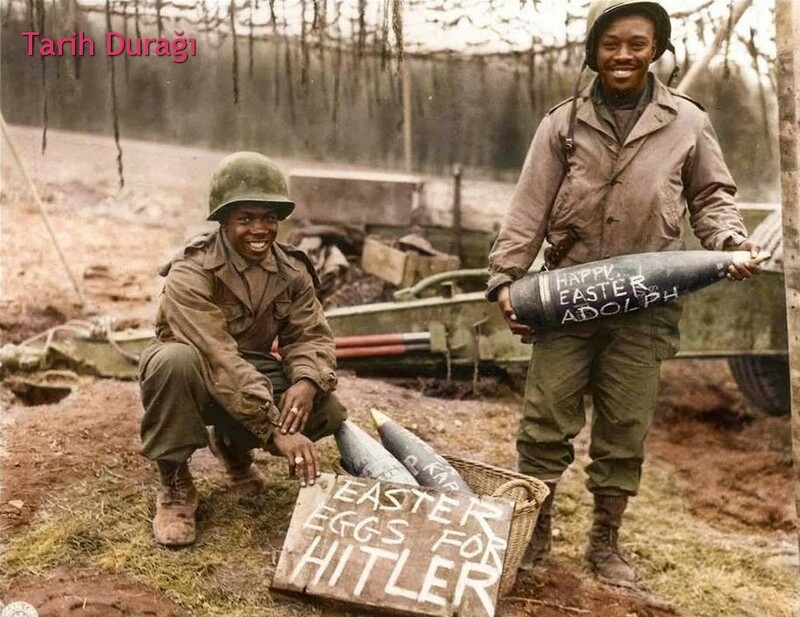 Easter Saturday, March the 10th 1945, during the Battle of Remagen.